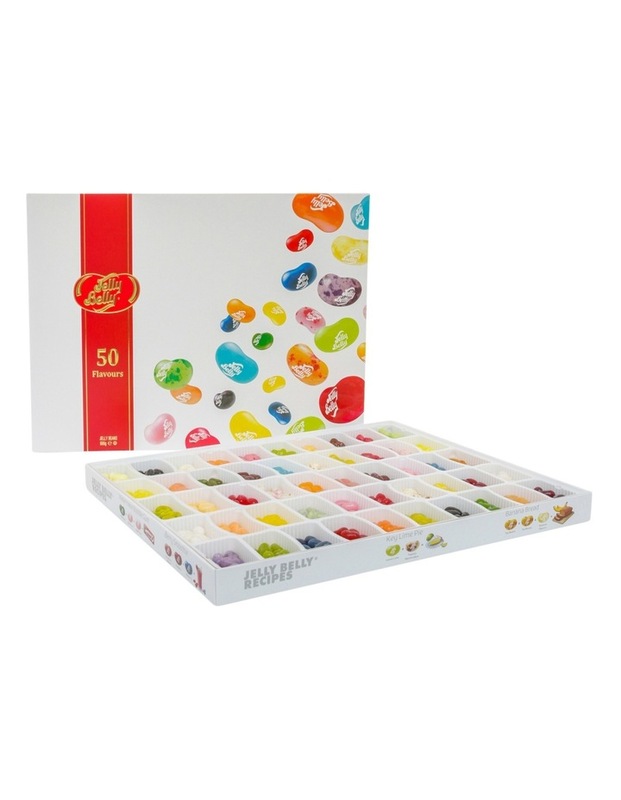 The Jelly Belly 50 Flavours Gift Box contains a colourful mix of jelly beans in Jelly Bellys top 50 flavours. 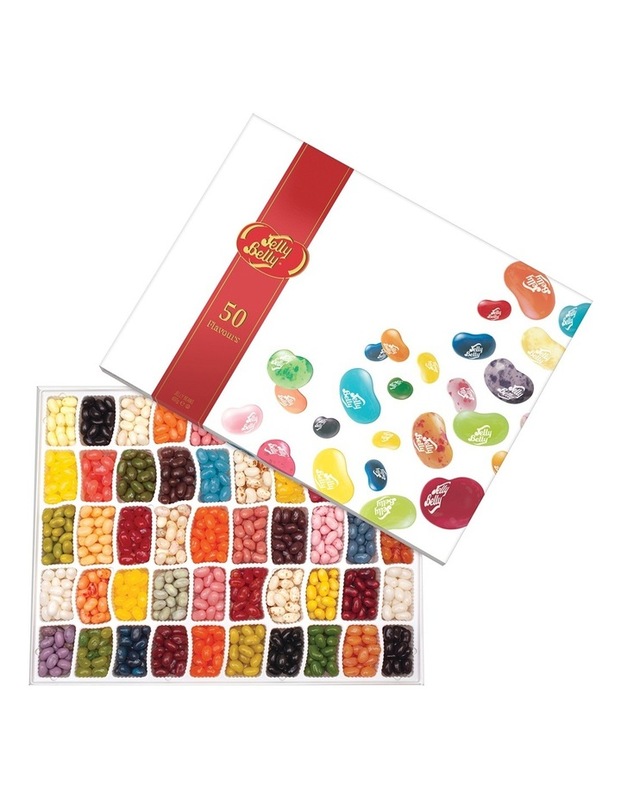 In the box each flavour is displayed in its own compartment making it easy to see the full range of jelly beans. Flavours of jelly beans: Apple pie, berry blue, birthday cake, blueberry, bubble gum, buttered popcorn, cantaloupe, cappuccino, caramel corn, cherry cola, cherry passion fruit, chocolate mint, chocolate pudding, coconut, cotton candy, crushed pineapple, grape jelly, green apple, green tea, island punch, juicy pear, kiwi, lemon, lemon lime, licorice, lychee, mango, margarita, mixed berry smoothie, orange, orange sherbet, peach, pina colada, pink grapefruit, pomegranate, raspberry, red apple, sizzling cinnamon, strawberry banana smoothie, strawberry cheesecake, strawberry daiquiri, strawberry sundae, tangerine, toasted marshmallow, top banana, tutti-fruitti, vanilla, very cherry, watermelon and wild blackberry. Jelly Belly jelly beans take between 7 to 14 days to make, and each jelly bean. They use natural ingredients whenever possible, and prides themselves on creating innovative, "true-to-life" flavours in the center and the shell make each bite a flavour adventure.